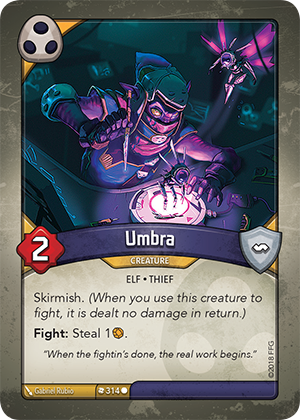 What happens if Umbra fights and my opponent has no Æmber to steal? If there is no Æmber to steal, no Æmber is stolen. Does Umbra steal Æmber if it is destroyed during a fight? No. “Fight:” abilities only resolve if the attacker is not destroyed during the fight. Therefore, Umbra only steals Æmber if it survives the fight.